Are socks with sandals a fashion faux pas or next big thing? How do you pair socks with sandals? When Kendall Jenner strode onto the Cannes red carpet in socks and sandals last month, she sent fashionistas reeling. But the American supermodel pulled off what would normally be seen as a fashion faux pas in metallic Jimmy Choo sandals and sheer socks. The socks-and-sandals combo has also recently been popping up in designers' style books. In March, Italian luxury label Valentino sent its models onto the runway in sandals and socks for its Resort 2018 collection. Though the bold look may seem more like an anti- fashion fashion statement than a wearable trend, it can add a quirky element to any outfit and it is comfortable, says fashion stylist Jessica Ho, 25. 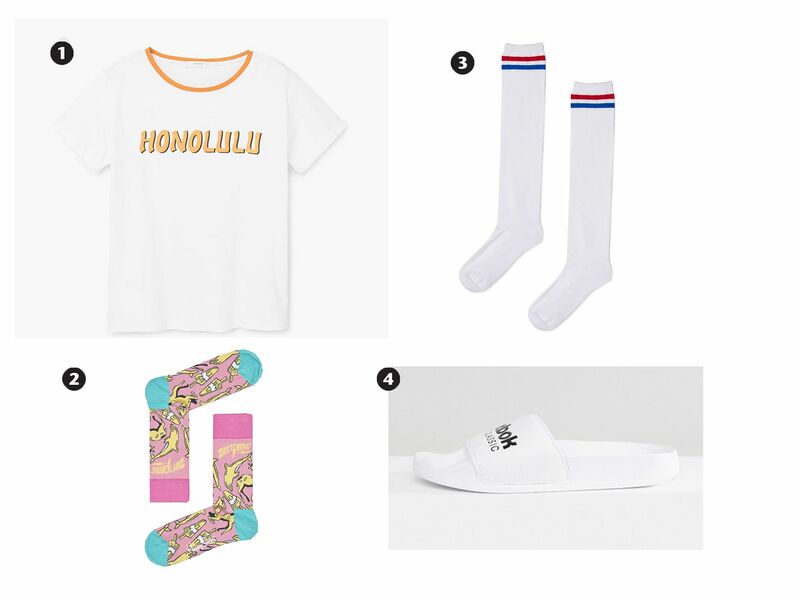 She adds: "This trend allows you to be adventurous in exploring colours, patterns and textures when it comes to socks and to pair them with quirky sandals." Here are some tips on how to pair socks and sandals. For easier mixing and matching, Miss Ho recommends sticking with a one-tone sandal as it allows you to try on socks of different colours and materials. "One of my favourite looks is to pair pink sliders with a fishnet pantyhose worn over socks. Not only does it look cool, but your feet also won't feel enmeshed in the fishnet stockings," she says. "I would wear this with an oversized pink sweater." Complete the look with a choker for a touch of edgy glam. For a more unconventional look, Miss Ho suggests layering socks of different lengths to create tiers of alternating colours and patterns. Go all out by layering socks up to your knees. "Usually, I will go with a pair of soccer-inspired or knee-high sheer socks as the base, then layer a text- graphic sock on top and finishing the look with furry socks," she says. As the focus of the outfit is the socks, tone down your clothes with an oversized plain tee or simple printed tee. Wear a pair of black or white sandals to let the patterns pop. Pair platform heels with plain socks in pastel hues for a height boost and a fun, feminine vibe. Miss Ho says: "I love to wear this style with a pair of blue flared jeans, with one leg rolled up high to show more of the sock. Leave the other jean leg uncuffed and complete the ensemble with a lace bralette and blue denim jacket." Avoid overwhelming prints such as leopard and zebra ones for the socks, or sandals with loud prints as they may clash with your socks.